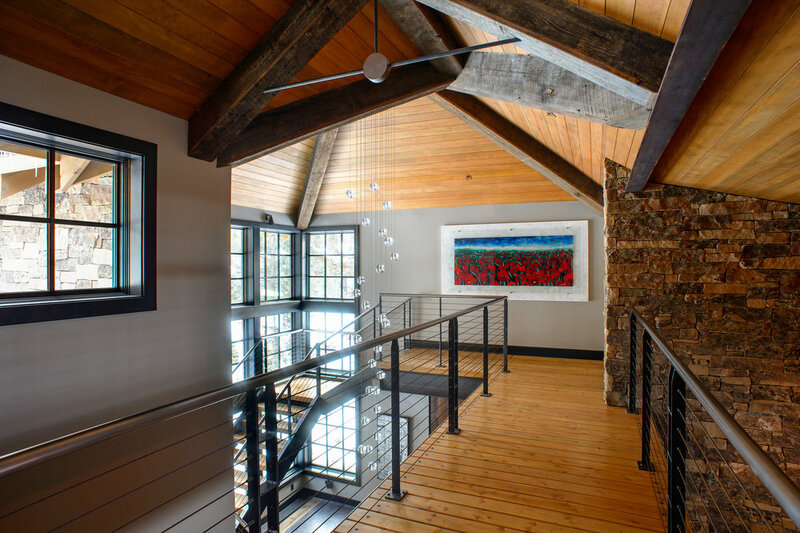 The minute you walk through the copper clad entry door you are enveloped in a combination of exposed steel beams, stone, concrete and barn wood. To soften this combination we used warm colors and texture. 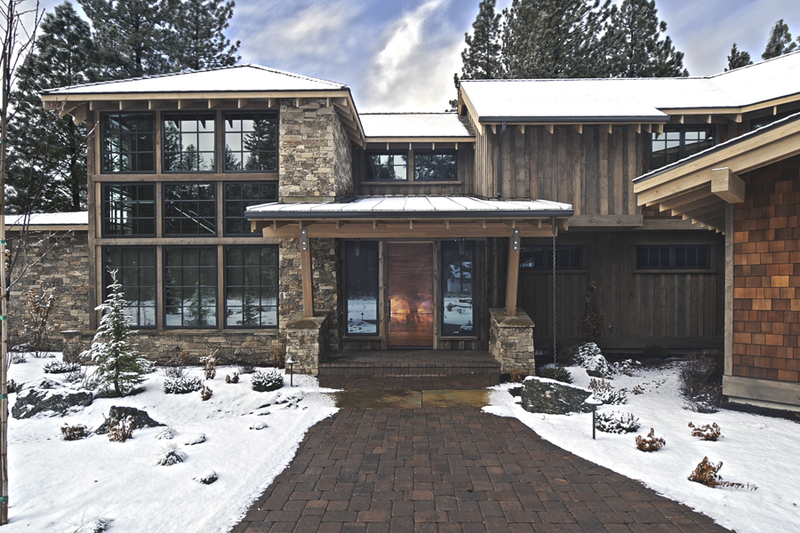 Teak cabinetry takes main stage throughout this 5000sf mountain vacation home accented with sliding barn wood doors, concrete floors with a wood grid inset and a unique collection of lighting. 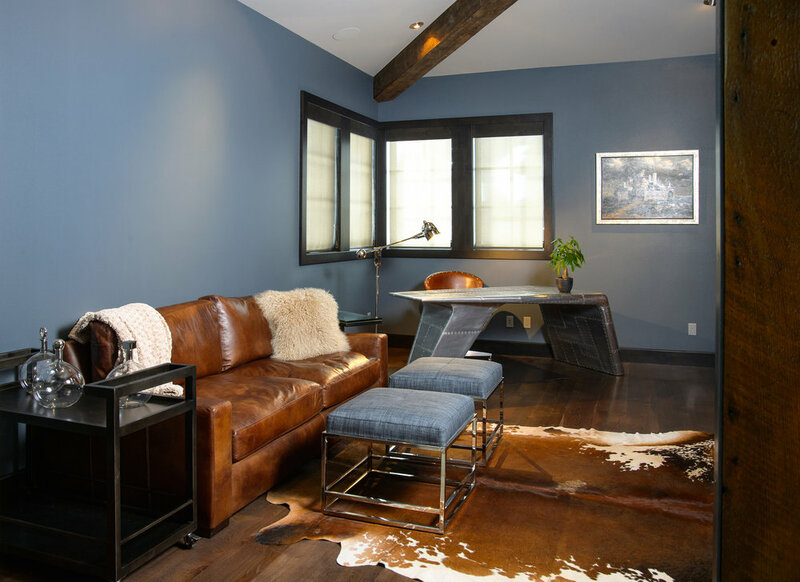 Custom made walnut and iron tables as well as rich leather seating complete the design.